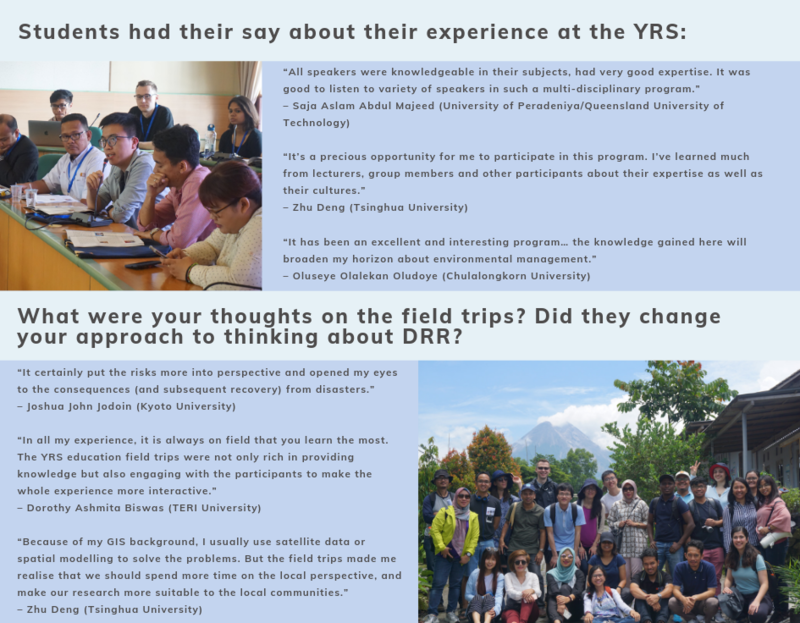 Twenty-one participants from across the Asia-Pacific region took part in the 2019 ProSPER.Net Young Researchers’ School (YRS), hosted by Universitas Gadjah Mada, held in Yogyakarta, Indonesia, from 3rd – 12th March, 2019. The theme for this YRS, ‘Ecosystem-based Disaster Risk Reduction and Climate Change Adaptation’, provided participants with the opportunity to engage with issues related to Ecosystem-Based Disaster Risk Reduction (Eco-DRR) in the context of the tropics, as well as an understanding of the issues and problems related to hazards and disasters within the context of the UN 2030 Agenda and the Sustainable Development Goals (SDGs). 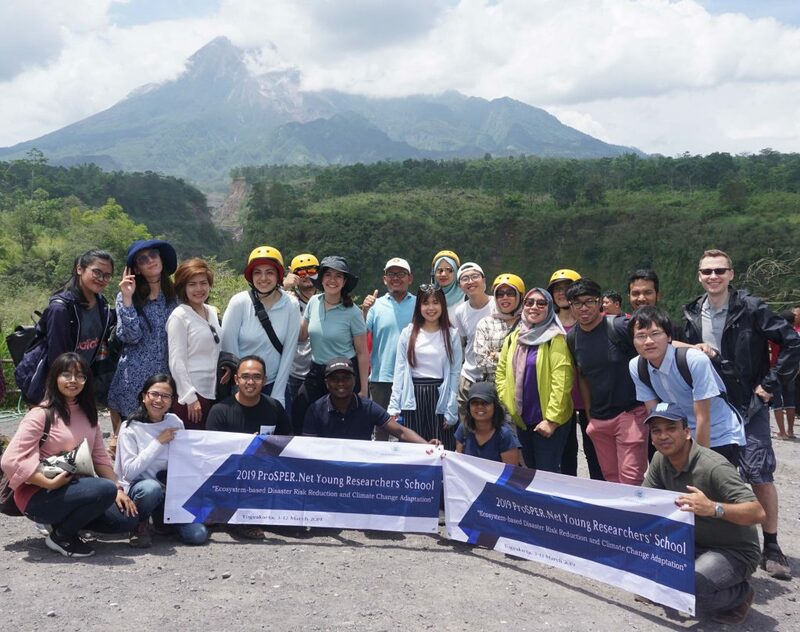 The location for the 10-day School – in Yogyakarta, Indonesia, situated on the ring of fire and in one of the most disaster-prone countries in the world – enabled students to see first-hand a city and community learning to live with disasters over time. Earthquakes, floods, and disasters related to volcanoes are just some of the natural disasters faced in the region. 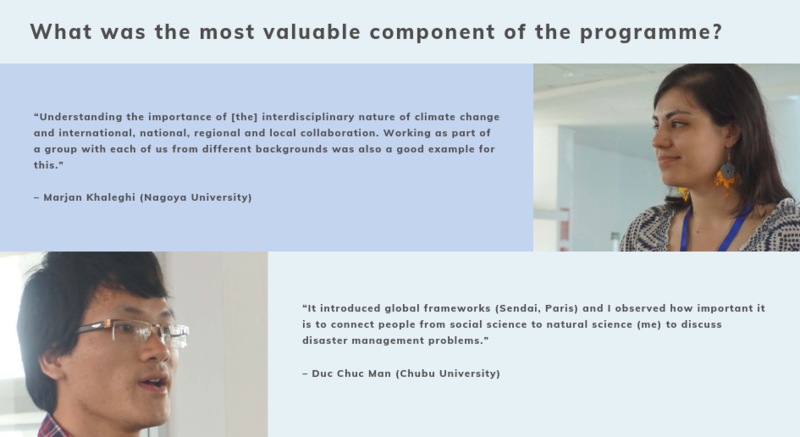 Throughout the programme, students also benefitted from a variety of in-class components (lectures, practical exercises, individual and group assignments, presentations, and discussions). The ProSPER.Net Secretariat would like to thank Universitas Gadjah Mada for hosting a very successful Young Researchers’ School. Read a full report of the YRS here. (Photo and video credits: Suriadi). Photos from the 2019 ProSPER.Net YRS can be found on ProSPER.Net’s Facebook page here.